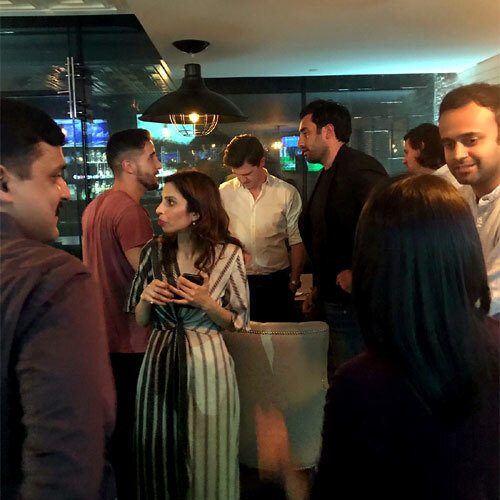 On 31 January 2019 and 1 February 2019, alumni from Asia and Oceania met in Abu Dhabi, United Arab Emirates, to attend the first FMA Asia-Oceania gathering. Abu Dhabi proved the perfect location given that there are seven alumni currently working at the Asian Football Confederation (AFC), and many more FMA members that worked for Member Associations, agencies, or other companies directly or indirectly involved in the organisation of the AFC Asian Cup. Several alumni also travelled independently to the gathering from, among others, India, Singapore, and Australia. On 31 January 2019, approximately 20 alumni attended the Fairmont Bab al Bahr hotel to reminisce and discuss Asian football. The evening was kindly sponsored by Dentsu Inc.
On 1 February 2019, alumni (who were not on duty!) had the opportunity to explore the sights and sounds, enjoying tourist stops at Ferrari World and the Lourve Abu Dhabi Museum. 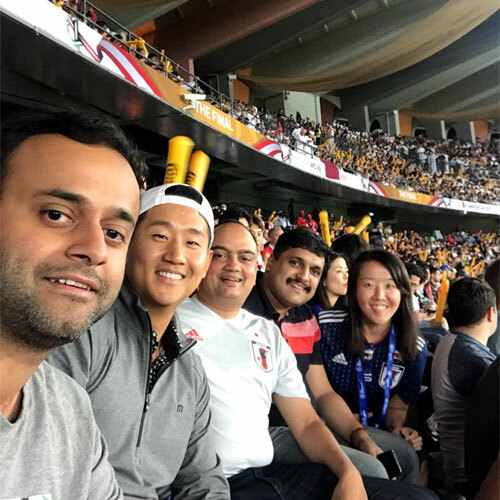 Later that afternoon, alumni descended on the Zayed Sports City Stadium for the AFC Asian Cup UAE 2019 Final between Qatar and Japan, with Qatar ultimately winning 3-1 to be crowned Asian champions for the first time. Congratulations should be given to all alumni that worked on delivering the highly successful AFC Asian Cup UAE 2019, the first with 24 teams. Special thanks should be given to Biplav Gautam and Aayush Dabas for their organisation of the gathering, and to Shin Achiwa and James Kitching for arranging sponsorship through their companies.